— I deserve what came to me. I threatened France supporters in my house would sleep outside in the rain tonight. Well France won, guess who is sleeping outside in the hammock? I pray it doesn’t rain tonite. My son joins me soon, lol.#Russia2018; Van Vicker shared on instagram. 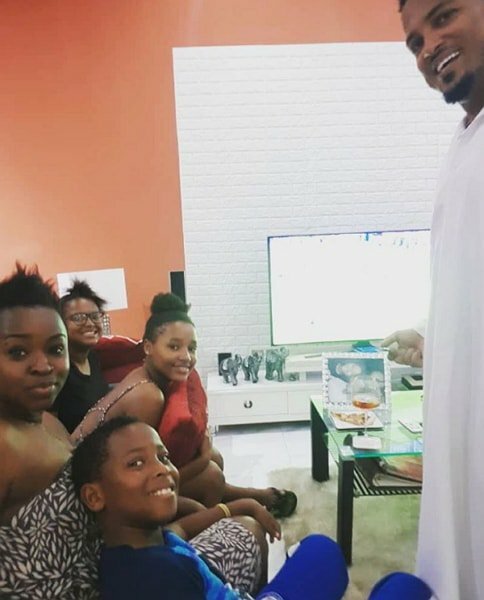 Ghanaian actor Van Vicker suffered the consequences of his action on Sunday after he lost his bet on Croatia vs France 2018 World Cup grand finale. The actor and his son, VJ supported Croatia while his wife Adjoa and their two daughters, J-ian and J’dyl supported France. Vicker and VJ were immediately kicked out after the match that favoured France. According to him, he slept outside on Sunday after losing his bet to the France supporters in his home.